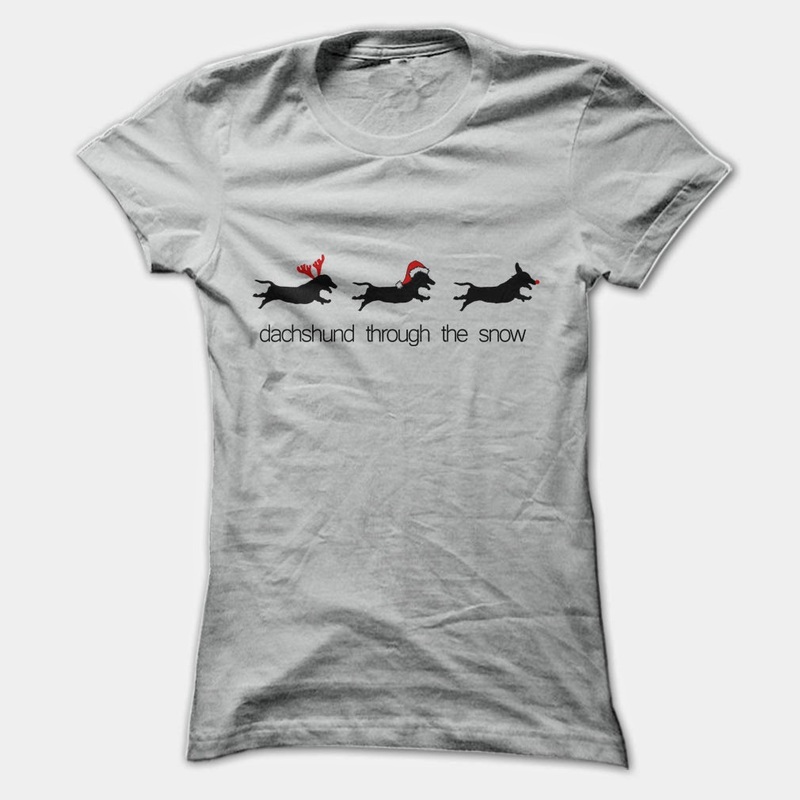 Have the absolute best dachshund festive Christmas themed t shirt with this awesome design. Simple yet stunning. Dachshund through the snow.